Two images confronted me constantly in the Himachal hinterland. I found them without prejudice, on walls, on T-shirts, on caps, on badges even. 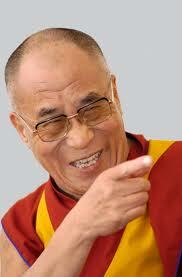 One: bespectacled, benign, smiling and avuncular. The other: bearded, intense, glowering and mesmeric. One: the spiritual spearhead of a people in exile; the other: variously a heroic fighter or murderous totalitarian. The former, His Holiness the Dalai Lama, unmistakable in the maroon and ochre of a Buddhist monk; the latter, a certain Che Guevara, in an altogether singular sartorial choice: fatigues. The former, a reverential figure in the region, explains itself; it was the latter I mulled over. 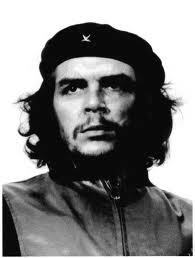 Argentinean by birth, Cuban by invite and immortalised by death, Ernesto Guevara was the original poster boy. His romantic illusions about peasants participating in guerrilla warfare, in answer to the economic ambitions of the US in the Third World, found him in the august company of Fidel Castro. The rest, as they say, is history. Che Guevara may well have faded into oblivion were it not for his chronological positioning — the sixties. It was the decade that witnessed the emergence of a counter-culture – hippies, alternate music forms, Woodstock, the Beatles, sexual freedom, drugs.It was in those socially tumultuous times that Che Guevara, for some, a rebel willing to sacrifice everything in pursuit of his ideals, met his inglorious death. Soon after, his iconic status would find a logo. Alberto Korda’s candid shot of him, looking “sad and angry” has outlasted every representation of Che’s persona; underscoring the “Guerrillero Heroico” as the world’s most famous photo. It is this image that I saw plastered along the erstwhile hippy trail. Possibly, an import by them as they arrived in droves to discover themselves, emulating those other, more famous Indomaniacs, The Beatles. Eventually the sixties gave way to the seventies.The Beatles fell out with their guru. The hippies left. Come eighties and nineties, drugs control got tighter and overland backpackers were a thing of the past. At the turn of the century, Che, once upon a time the epitome of change, too, lay forgotten. And today, author Michael Casey’s “quintessential post-modern icon signifying anything to anyone and everything to everyone” signifies nothing to anybody. While his much replicated image, a dubious legacy, has become merely another way to decorate a patchy wall. Note: This appeared as a middle (minus the pics) in The Tribune today.